Potassium is an essential mineral, though it is always less discussed than iron and calcium. However, potassium is crucial for life and the functioning of some of the body's primary organs, such as the brain, heart, and kidneys. Potassium helps regulate blood pressure and aids heart and nervous system function. Furthermore, it also negates the adverse effects of sodium, improves sleep quality, boosts mental function and helps to remove waste from the body. It also contributes to regulating your body's fluid levels. If you're eating less than the recommended dose (see chart below), you could end up suffering from potassium deficiency - known as hypokalemia. A deficiency in potassium can lead to fatigue, insomnia, muscular weakness, constipation, tingling sensations, digestive problems, and heart palpitations, to name but a few side effects. To keep a balance of electrolytes and fluids in your body, it is important to consume potassium-rich foods. Below are 10 foods which are an excellent source of potassium. 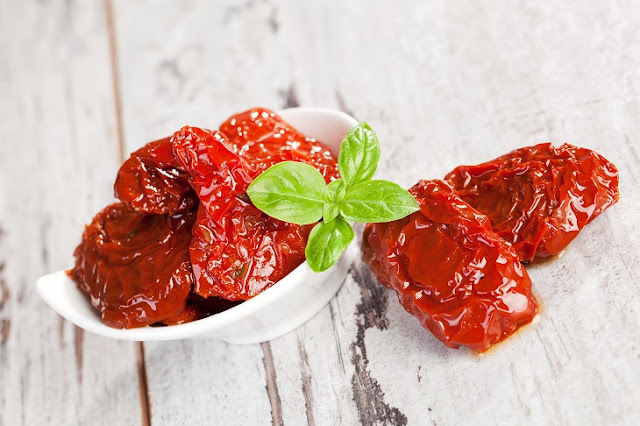 A single cup of sun-dried tomatoes provides 1,800 mg of potassium - 40% of your daily requirement. Sun-dried tomatoes are an excellent source of vitamins C, A and K as well as riboflavin, thiamine, protein, iron, and fiber. Eating sun-dried tomatoes can help your digestive and immune system. They also help to maintain good heart health, reduce the risk of cancer, prevent anemia, and regulate bone mineralization. These tomatoes are an excellent addition to salads and sandwiches, a great topping for pizzas and go well with homemade sauces. Bananas are well-known for being full of potassium. A medium-sized banana contains 422mg of potassium - or 12% of the recommended dietary intake. Along with potassium, bananas contain fiber, phosphorus, calcium, zinc, magnesium, iron, and vitamins B6 and C. Due to the presence of natural sugars such as fructose, glucose, and sucrose in bananas, they are a great energy booster. Regular consumption of the fruit helps regulate bowel movements, improves your heart health, lowers blood pressure, cures ulcers, soothes heartburn, treats anemia and enhances the condition of your skin. This fruit can be eaten as a snack or added to oatmeal, yogurt, and smoothies. The majority of green vegetables are rich in potassium, but spinach is definitely worth mentioning. One cup of boiled spinach provides 839 mg of potassium - 24% of the recommended dietary intake. In addition to its high potassium content, spinach is rich in calcium, vitamins A, and K, dietary fiber, magnesium, iron, manganese, zinc, phosphorus, protein, copper, and nitrates. Adding spinach to your diet helps improve blood glucose levels, reduces the risk of cancer, lowers blood pressure, improves bone health, reduces the risk of developing asthma, fights anemia, reduces inflammation, and lots more. You can add this tasty green vegetable to salads, vegetable juice or green smoothies. One ripe avocado provides 975 mg - 30% of the recommended potassium dietary intake. This superfood is also full of heart-healthy fats, fiber, B vitamins, vitamin K, copper, iron, protein, folate, and phosphorus. Including avocado in your diet can ease arthritis pain, reduce the risk of certain cancers, lower cholesterol levels, boost eye health, improve heart health, promote weight loss, regulate your blood sugar and aid digestion. You can eat half an ugly avocado sprinkled with some lemon juice, or you can use it to make guacamole, add it to salads, smoothies or sandwiches. 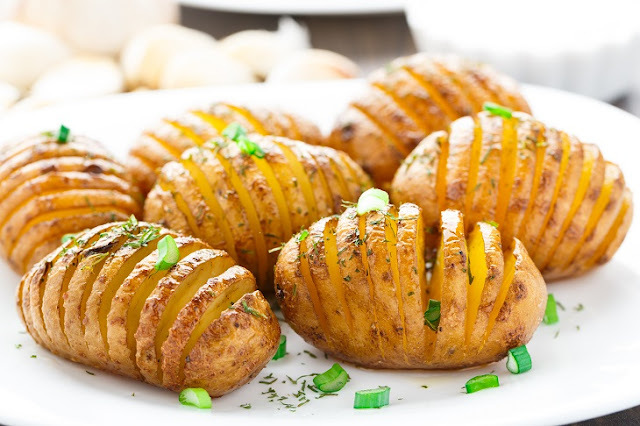 One medium-sized baked potato (with the skin) contains around 950mg of potassium - 27% of the recommended dietary intake. The flesh contains about 610 mg of potassium, while the skin packs around 330 mg. Potato skin is an excellent source of nutrients, including iron, protein, dietary fiber, and vitamins B6 and C.
Just a single medium-sized sweet potato contains 952 mg of potassium - 27% of the recommended dietary intake. Sweet potatoes contain vitamins A and C and vitamins B1, B2, and B6. They also contain calcium, iron, phosphorus, fiber, copper, manganese, and complex carbohydrates. Consuming this food on a regular basis reduces inflammation, improves vision, protects skin from sun damage, fights premature aging, regulates blood sugar levels, wards of cancer, boosts your immune system, and keeps stress under control. Sweet potatoes can be enjoyed baked, fried, or steamed - they can be added to soups and salads. All dried fruit such as peaches, prunes, raisins, and figs are great sources of potassium. However, dried apricots are one of the best potassium-rich foods as just half a cup provides 775 mg of this mineral - around 22% of the recommended dietary intake. Along with this mineral, dried apricots contain some power antioxidants, such as vitamin A and vitamin C. They also include copper, fiber, calcium, magnesium, iron, and phosphorus. Including a handful of dried apricots to your diet can improve eyesight, fight inflammation, lower blood pressure, improve the immune system, lower cholesterol and improve the health of skin, teeth, and soft tissue. Dried apricots are a great on-the-go snack and can also be added to salads and all kinds of cooking and baking. Just 1 cup of acorn squash provides around 644mg of potassium - 18% of the daily recommended amount. Furthermore, acorn squash contains folic acid, vitamins A and C, thiamin, magnesium, iron, copper, calcium, several B vitamins, and phosphorus. Acorn squash helps to regulate digestion, boosts brain power, prevents certain cancers, improves vision, protects the skin, strengthens bones, reduces blood pressure, regulates blood sugar, and maintains proper circulation. Acorn squash can be baked, sautéed, steamed stuffed, or mixed in with meat and vegetable dishes. 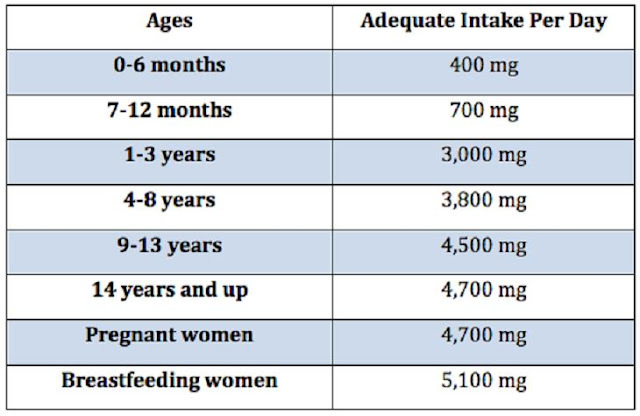 Just one cup of these cheap mushrooms provides around 450 mg of potassium - 11% of the recommended dietary dose. These mushrooms contain calcium, vitamin D, several B vitamins, magnesium, protein, and iron. Adding these mushrooms to your diet reduces the risk of obesity, regulates blood sugar levels, fights anemia, boosts energy levels, and improves digestive health. White mushrooms can be added to soups, salads, stir-fries, sandwiches, and side dishes. White Beans are rich in potassium, and just half a cup will provide you with 502 mg of it - 15% of the recommended daily amount. Along with potassium, these beans contain fiber, iron, magnesium, copper, phosphorus, and vitamin B1. They also contain little fat and are cholesterol-free. By adding this food to your diet, you can prevent your blood sugar levels from rising too quickly after a meal, lower your heart attack risk, lower your cholesterol, boost your energy, maintain your memory, and prevent constipation. These beans can be added to salads, soups, and stews.